Focusing on Perseverance: "If at first you don't succeed, try try try try try try try try again!" (1) Take a picture of your graphic organizer and a picture of your drawing and place them side by side in an ePortfolio entry. Crop each photo in iPhoto so they look nice. 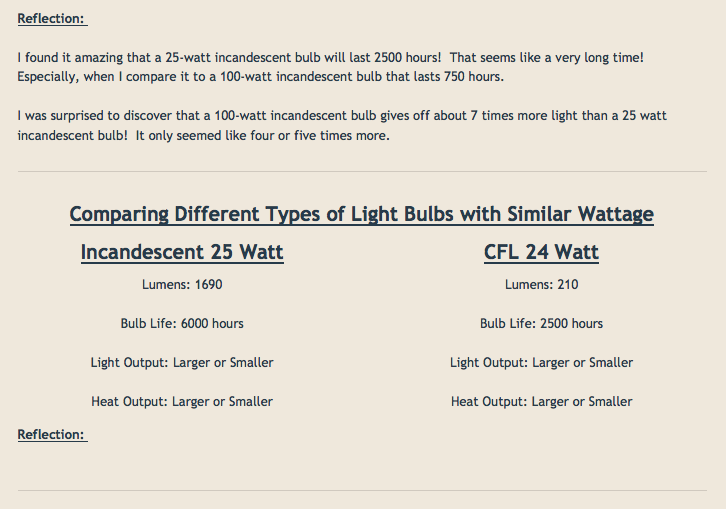 (2) Click on the "Lightbox" on each image so people can see them bigger. (3) Describe what your Rube Goldberg invention does in the caption for the drawing. (4) Copy and paste this caption for the graphic organizer: "The numbers in this graphic organizer connect to the numbers in the drawing on the left." (5) Write a reflection at the bottom of the page answering the questions listed below. 1. What was the most surprising thing you learned about energy during this entire unit? Why was it surprising? 2. What was your favorite part of this energy unit? Why was it your favorite? 3. Where is energy found? 4. How would you define energy? 5. If you have time, check out the other Rube Goldberg inventions online. Compare and contrast them to yours. What do you like better? What ideas can you take from theirs? Create the following blog entry (copy off of mine). I do a lot at first, but I start to leave blanks for you to do! 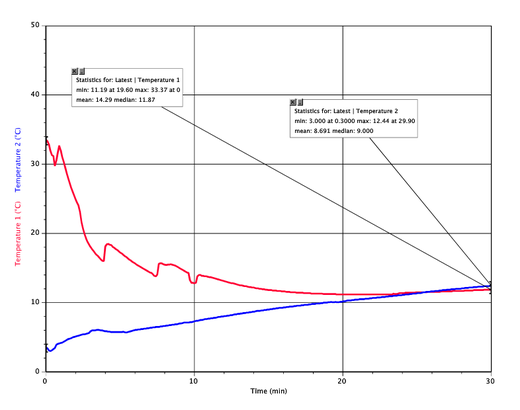 Embed the line graph from your insulated bottle experiment. Embed the data chart from your insulated bottle experiment. What was your maximum temperature (use your Data Chart, not the picture)? What was your minimum temperature (use your Data Chart, not the picture)? What is your range? If you had any penalties or gifts, include those in your total. What materials did you use in your insulated bottle (type them in order from your first layer, second layer, and third layer.)? Why did you choose the materials that you did? What are some materials that you didn't choose? Why didn't you choose them? Explain any blips on your graph (if you have them). Why do you think it did that? Is an insulator a good or a poor conductor of heat energy? This is an important question, so really think before you answer it! Before anything else, explain what the activity was and tell us your predictions. - Which rod(s) do you think will be the best conductor and why? - Which rod(s) do you think will be the worst conductor and why? Drag in an "Embed Code." Click on "Share." And copy the Embed Code. Paste it into your Embed Code on your blog. Place a slide show of pictures from the butter experiment at the top of this blog entry. Grab the graph from this blog post once it's been uploaded and put it in as an image in your blog post. How did heat energy transfer to the butter in this experiment? What connections can you make between this experiment and yesterday's experiment? "Both today's experiment and yesterday's experiment... The main differences were..."
How did your results compare to your predictions? Which of the tested materials were the two best conductors? What is your evidence? Which of the tested materials were the two worst conductors? What is your evidence? Do you think water is a good or poor conductor? Why? Can you think of any evidence to support your answer? Why do you think it matters which material is a good or bad conductor? How do we use conductors in our life? 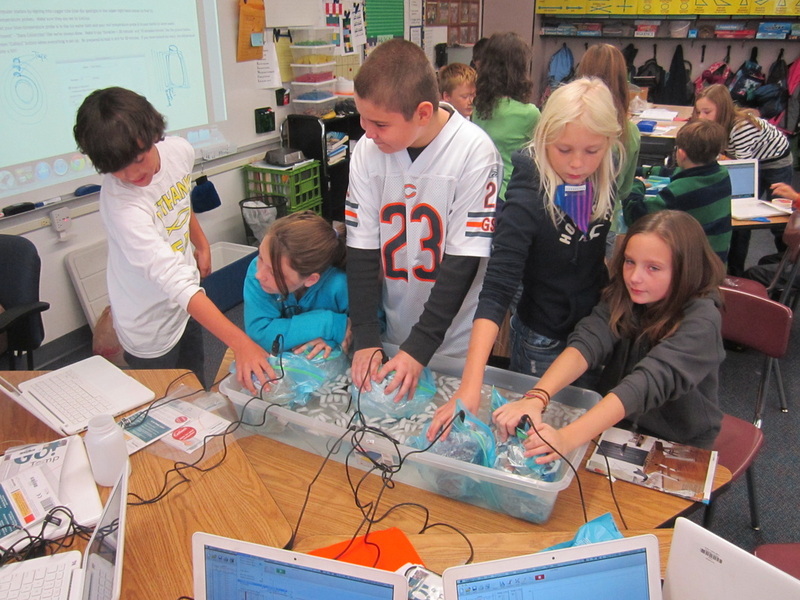 Create a blog post entitled, "Transferring Heat Energy." 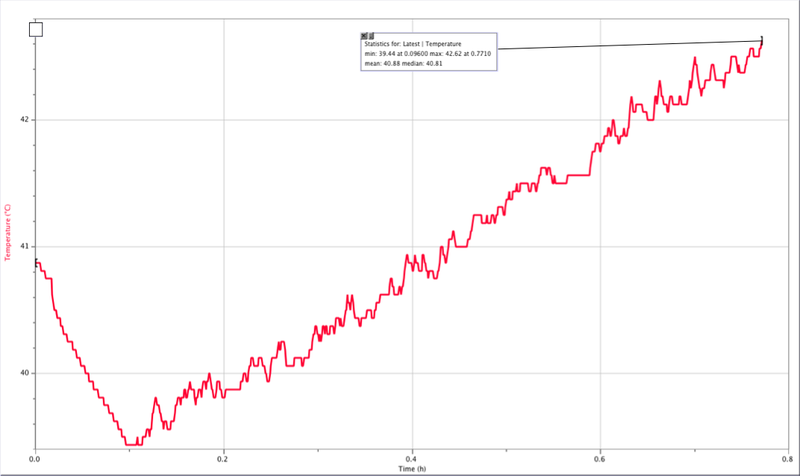 Take a screen shot of your line graph and insert it as an image at the top of this post. Drag in a slide show or at least a photo of your lab. These pictures should help show what we are experimenting on and how we did each of the steps. How did the temperatures of the water in the red Solo cup and the water in the bucket compare at the beginning? How did your graph show what happened? Use your line graph to predict what the temperature of the warm and cold water would be after 10 more minutes. Record your predictions below. Why did you choose these temperatures? Did the water go through the red Solo cup? How do you know? Can the food coloring in the warm water help you explain this answer? Sign in to Science Companion. Read Chapter 2 in the SRB with your assigned parter. Make sure you process it while you read! 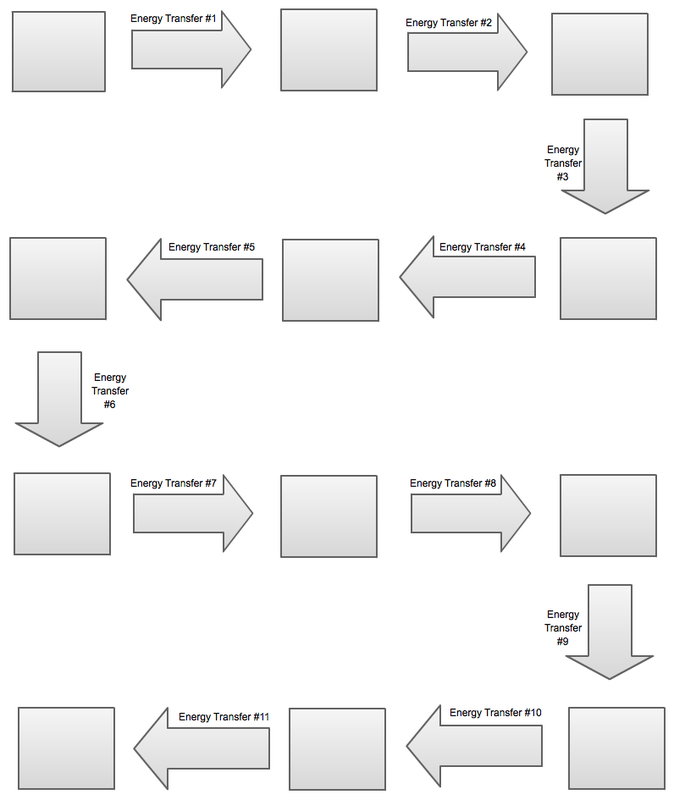 Work on the "Energy Transfers" handout, using the Science Companion information & our own ideas. Energy Transfers in Fun Classroom Objects! 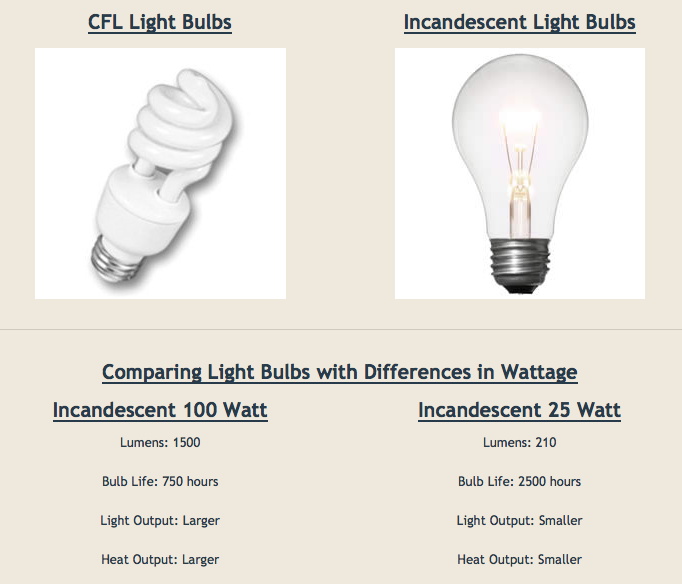 Create a blog post entitled, "Energy Transfers." Introduce "Solar Energy" as the ninth form of energy. Practice the routine with the "Solar Propeller." Embed all of your YouTube Videos using the pattern that we learned in class. Which three stations do you feel very confident that you figured out correctly? Describe one and explain what made it so obvious. Go to our classroom YouTube channel and spend a little time watching other students' videos of stations that you think you and your partner(s) might have gotten wrong. Try to find a group or two that explained a particular station better than you did. Which group do you want to give a shout out to for doing a good job explaining a particular station? List their names, the station they explained, and the URL to their video so I can watch it! Lesson 2: "Eight Forms of Energy"
Energy Card Sort: Sort the cards into as many piles as you'd like, but have a title for each column, just like in Words their Way! Get approved when ready. I'll give hints every 5-10 minutes to help! Get into groups based on how many adult volunteers are available. Partners will need to take turns with the iPad and the clipboard. Walk around the school (inside and outside) finding examples of each of the 8 energy forms. Take a picture of each and record them on your list. Be sure to get at least one picture for each energy form before getting multiples of others. Be back in the classroom by the deadline! Using an iPad cord and a laptop, transfer your photos from the iPad to the laptop. Agree to all the pop-ups. Open Image Capture on your Mac. Open up the file from above in Keynote. Drag all of your images into the Keynote presentation and shrink them to fit into each section. 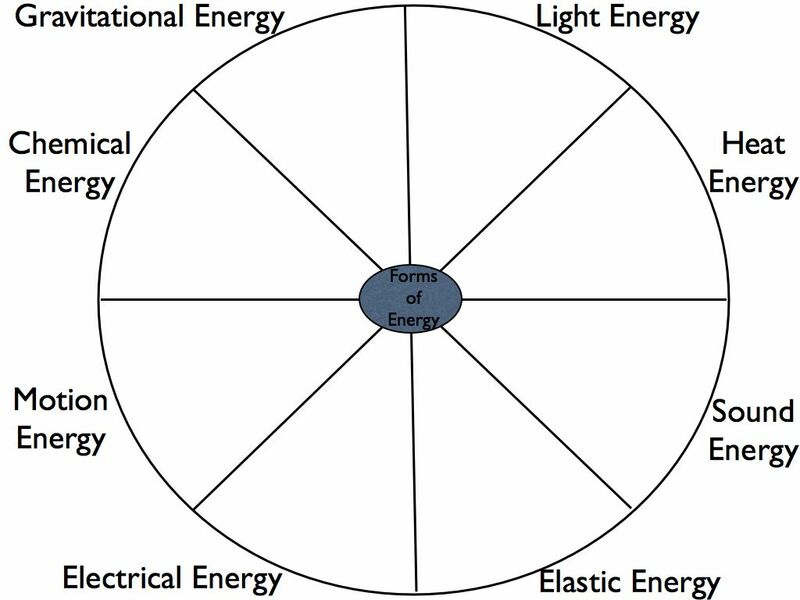 Create a new blog post and entitle it, "Eight Forms of Energy." Insert your JPG as an "Image" into the blog entry. Turn "Lightbox" on. All blog posts should be complete within one week of it being assigned (check the date of this blog post to see when it was assigned). Remember to use capitals and end punctuation correctly. Try to spell things the best you can. Every answer MUST have at least two sentences: one to answer the question, and one to "tell me more." The first answer is usually pretty easy, but the real thinking comes when you have to "tell me more." Put the images into two slide shows like the screen shot above. 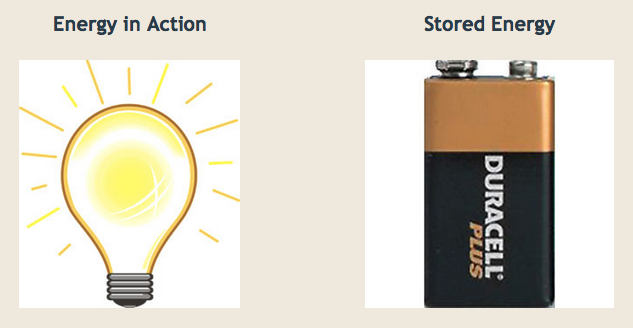 Have a column heading "Energy in Action" and "Stored Energy." Title the blog post, "Energy - Lesson 1."